Nicknamed the heel of Italy, Puglia is a sunny coastal region in south-east of the country. 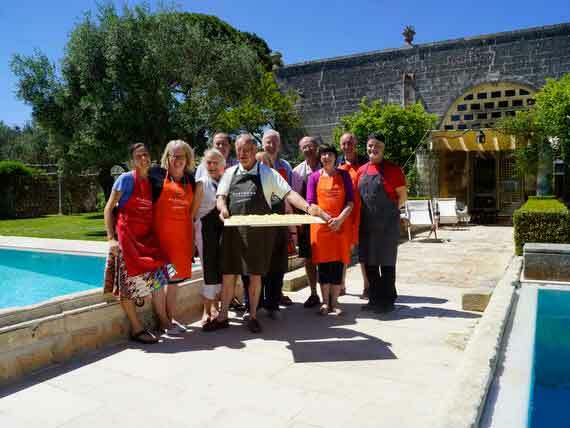 We base ourselves in the Salento area in the heart of southern Puglia,where you’ll find a wealth of culinary inspiration for your cookery holiday. 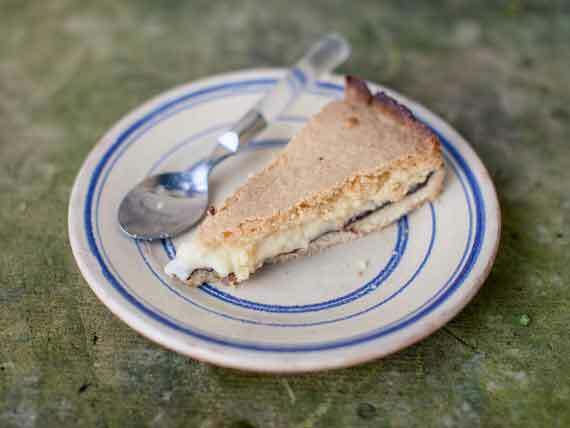 The region’s cuisine has been influenced over the centuries by its neighbours and invaders. 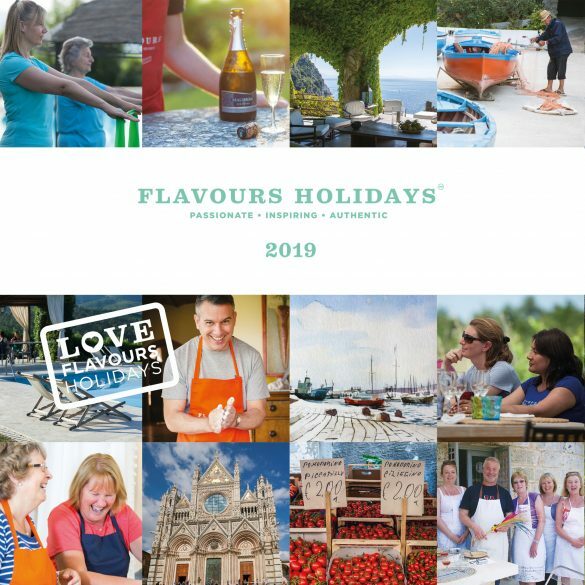 The incredibly rich natural larder of the region is known for producing most of the country’s olive oil, full-bodied wines and its famously intensely flavoured olives, almonds and figs. 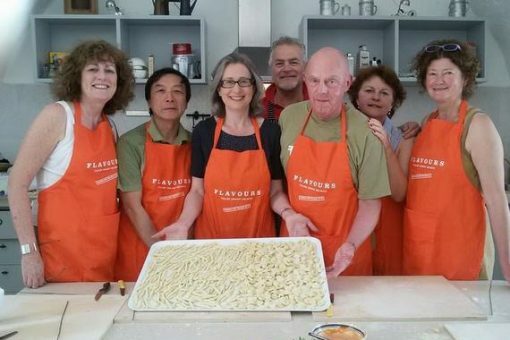 Learn to cook local specialities like orecchiette (an ear-shaped pasta) con cima di rapa and seafood risotto using the local catch of the day. We never charge a single room supplement. Group sizes are usually between 8 and 10 people. 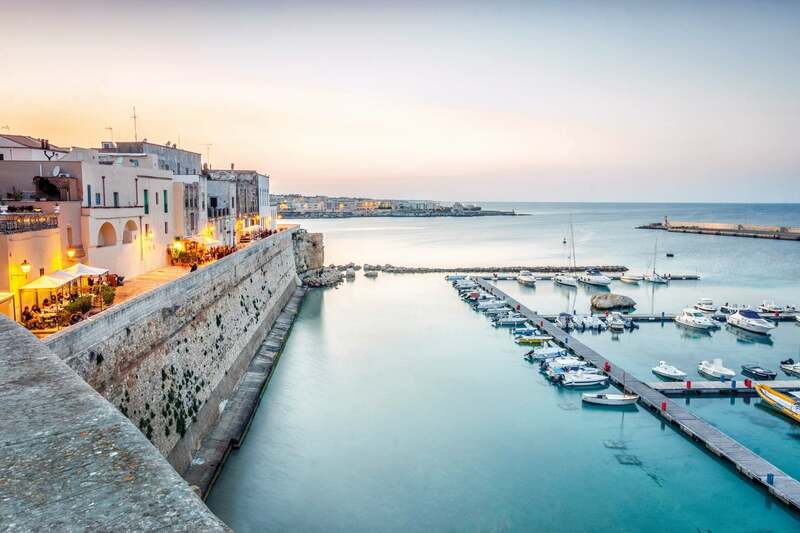 Sights to savour along with the turquoise sea and long sandy beaches include the handsome Baroque cathedral in Otranto, with a mosaic floor to rival Ravenna, and the city of Lecce’s more than 40 churches and a noble palazzo built in the 17th and 18th centuries. South of Lecce, the landscape flattens and the sky opens out. Acres of olive groves and vineyards extend between dry-stone walls. The coastline of turquoise sea and red cliffs combine to form a dramatic backdrop – the perfect spot for a week of culinary indulgence and relaxation. All meals, drinks, restaurants, visits and transfers. Over 70% of our guests are solo travellers. Everything was just wonderful. 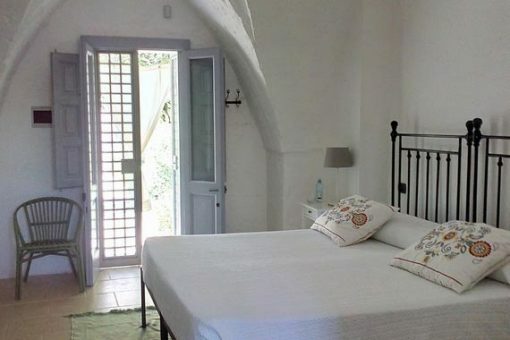 A little bit of paradise in Puglia. 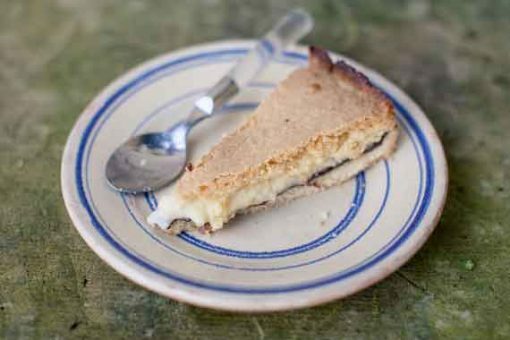 5 cookery lessons with our knowledgeable local Italian chefs. 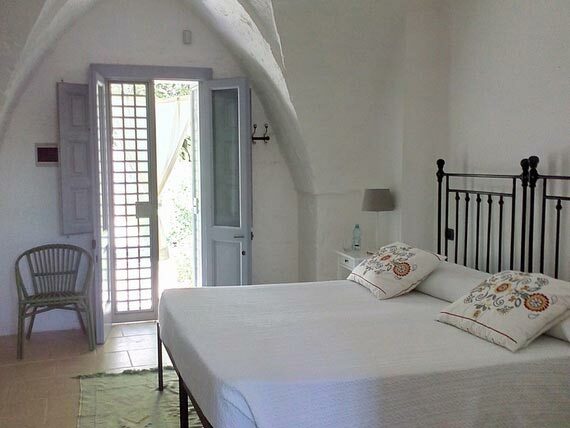 Accommodation in a 17th century hunting lodge, beautifully restored into a glorious retreat. All meals and wine, including 2 meals at local restaurants. * Provided you are able to meet them. Please ask for transfer times. 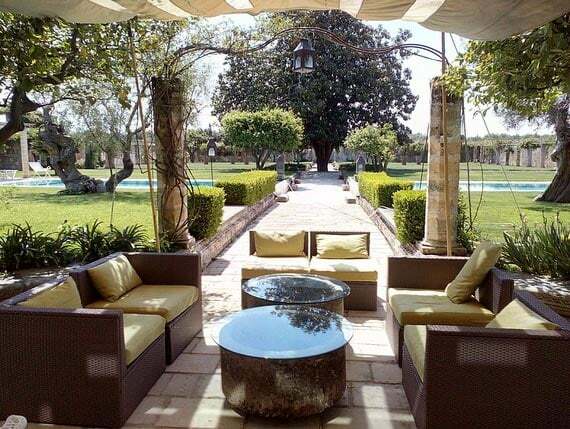 Casino Pisanelli is our Puglia holiday venue which is indeed a stunning venue, situated in the heart of rural Salento. It's a real hidden gem. Originally a hunting lodge built in the 17th century for a local Count, the estate is now used exclusively by Flavours for just a few months of the year. The style of Casino Pisanelli is a stunning mix of traditional and modern, with wonderful formal gardens and a glorious swimming pool – the perfect spot to relax after a busy morning in the kitchen. View our photo gallery to see more. Group transfer to the villa. 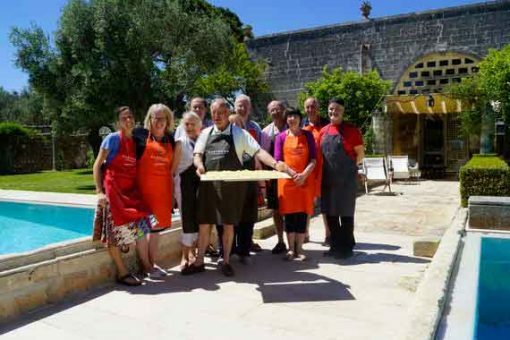 Your first cookery lesson followed by a visit to Santa Maria di Leuca. 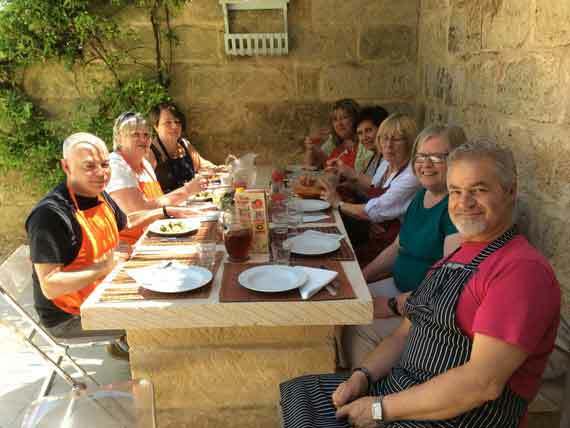 After breakfast, you will have your first cookery lesson with our local chef Antonio, followed by lunch. In the afternoon, you will visit Santa Maria di Leuca, at the very tip of the Salentine Peninsula where the Ionian and Adriatic Seas meet. Enjoy an aperitivo and dinner in our favourite local trattoria. Your second cooking lesson followed by a private wine tasting. Following breakfast this morning, enjoy your second cookery lesson, followed by lunch. In the late afternoon, we’ll head to a local winery for a private wine tasting. Return to the villa for dinner this evening, prepared by your chef. 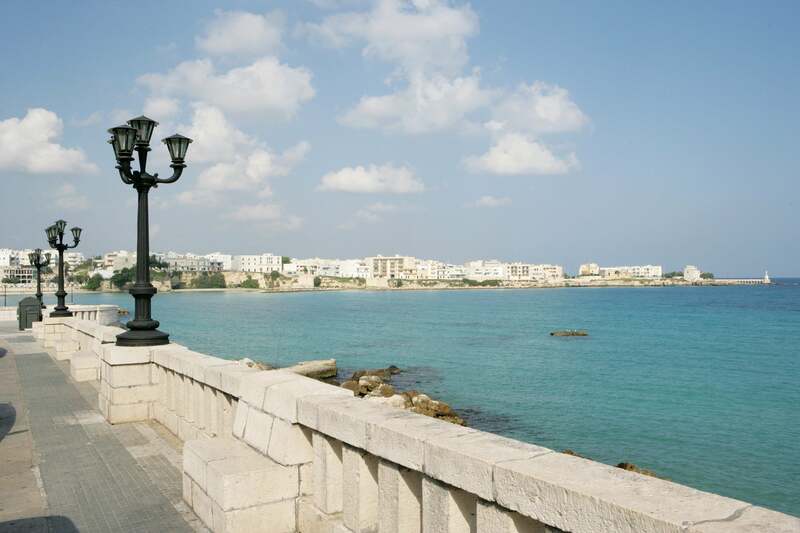 Sight-seeing in Lecce and lunch at a traditional trattoria. After breakfast, the group will leave for a trip to Lecce – the ‘Florence of the South’. Lunch will be at a local trattoria. 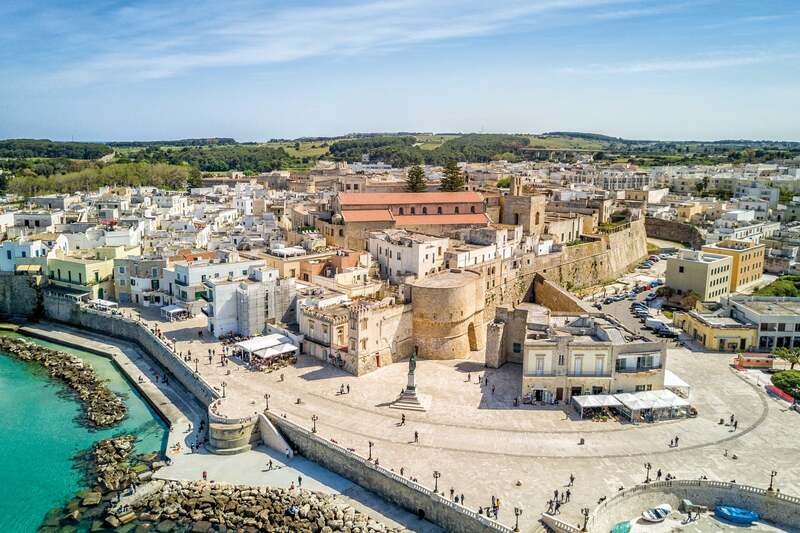 After lunch, we will visit Otranto situated by the sea, with the chance to visit the famous Cathedral with its beautiful medieval floor mosaic. Return to the villa for dinner. 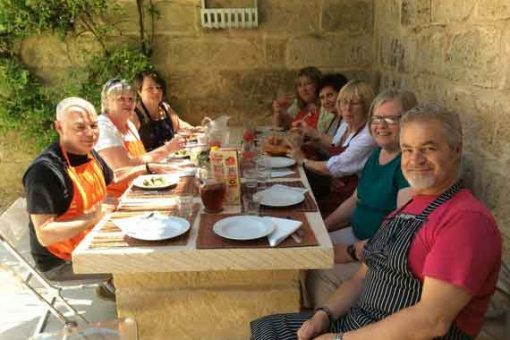 Cooking lesson and day to relax at the villa. 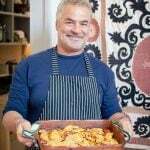 This morning, enjoy another cooking lesson with Antonio and then lunch. 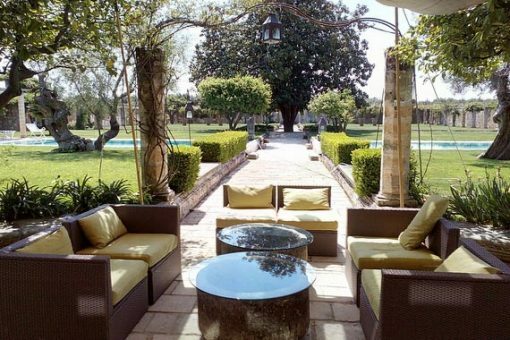 The afternoon is free to relax in the villa, take advantage of the pool or take a walk around the olive groves. Dinner tonight is prepared by your chef. Day trip to Gallipoli with dinner at a local seafood restaurant. This morning, time for another cookery lesson in the kitchen, enjoying your dishes for lunch. You will then have a late afternoon visit to Gallipoli, on the Ionic sea, where you can watch the fishing boats arrive and wander around the old town. Dinner will be at an excellent local fish restaurant. Final cookery lesson and farewell dinner. Enjoy your final cookery lesson this morning and then lunch. 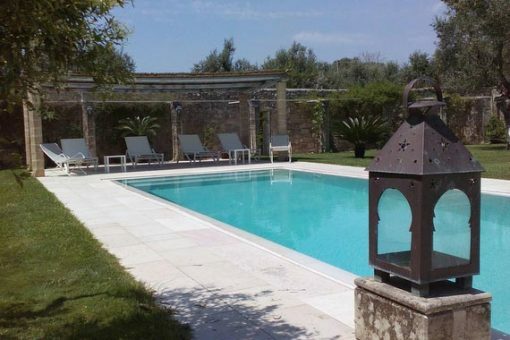 The afternoon is free to relax by the pool or in the grounds of the villa. A special farewell dinner will be prepared for you by your chef. Group transport to the airport. After breakfast, your transfer will collect you and return you to the airport. Arrivederci! 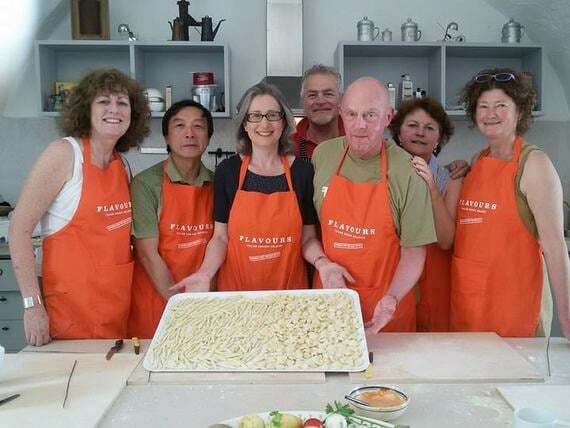 If you might be interested in activities other than Cooking, you can find out more about the Pilates, Painting and Photography activity holidays that we offer in Puglia. This was a fantastic holiday - a wonderful mixture of cooking, luxury, sight seeing and relaxing. Very well balance and excellent value for money. I'm certainly considering returning to Italy with Flavours next year. 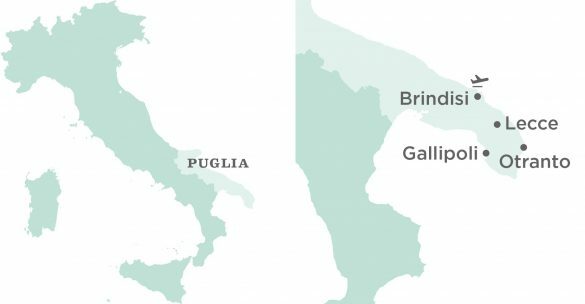 Discover authentic Italy – Discover Puglia! Thank you for sending through your holiday plans! You are one step closer to your life inspiring holiday that you so deserve! We will be back in touch with you shortly to help you with your holiday plans and, hopefully, you will be joining us soon! Let us take care of finding the perfect holiday for you. Tell us a little bit about yourself and your plans. For example, how many people will be travelling? Where would you like to fly from? Are your dates flexible? A trusted travel advisor will check availability and come back to you within the next 24 hours, with recommendations for the life inspiring holiday that you so deserve.